"We do Business a Better Way"
Ontario Auto Ranch Subaru is here to meet each of your automotive needs by providing friendly service, precise attention to detail and, of course, a superb selection. 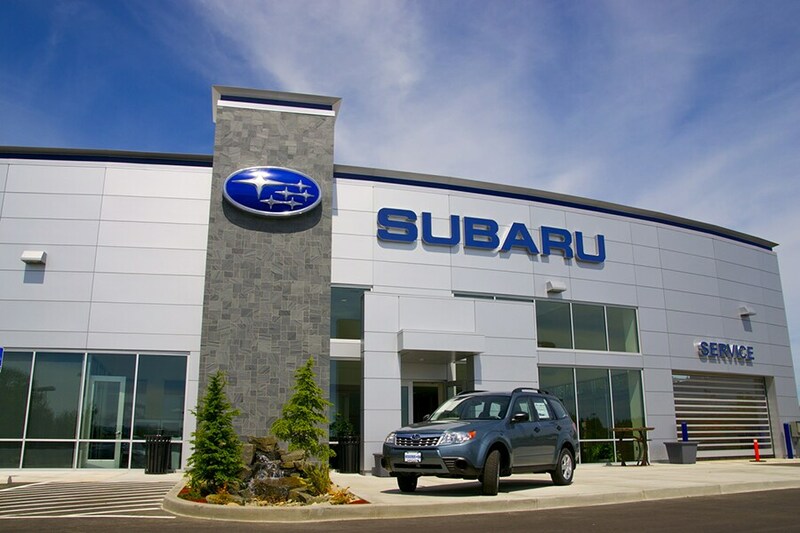 So whether you're in the market for a new Subaru model, a used car, a replacement part or you just need a quick oil change, be sure to make our Ontario, Oregon dealership your first and only stop. We'll help you find the car of your dreams from our stunning inventory of new new Subaru models. New and Pre-owned car shoppers from Boise, Nampa, and Caldwell make it a point to stop by our Ontario showroom to test drive a new Subaru Outback, Crosstrek, Forester, Impreza or Legacy. You'll quickly learn that our new cars provide long-lasting dependability, exceptional performance and family focused comfort. Naturally, all of our new Subaru models including the new 2019 Subaru Ascent SUV are outfitted with a broad array of innovative safety and connectivity features to satisfy your daily driving needs! If you have your sights set on a used car, Ontario Auto Ranch Subaru carries a wide range of options from which to choose. We take just as much pride in our used car selection as we do the vehicles that just rolled off the assembly line. Regardless of what you're after, we guarantee top-notch quality and reliability across the board and will do everything we can for our customers from Ontario, Payette, Fruitland and beyond to ensure that you drive away satisfied with the vehicle you have chosen. Finding your ideal vehicle is the first half of the car buying equation. The second half is securing a car loan or lease that fits your current financial requirements. That's something the team at Ontario Auto Ranch Subaru is trained to provide, and they do so by sitting down with you, one-on-one. That way, we can learn more about the kind of payment you're comfortable with, your long-term financial goals and address any other questions or concerns on your mind. There's no better place to go than Ontario Auto Ranch Subaru for Subaru service in Ontario, Fruitland, Parma, Weiser or Payette. Our Service Center is staffed by a team of trained professionals that know every inch of your Subaru model. We're wholly dedicated to providing exceptional service and repairs without any unnecessary hassle or hidden fees. Of course, we only use genuine parts and accessories to maintain your vehicle's original quality and like-new condition for many years of daily driving. As you can see, Ontario Auto Ranch Subaru is committed to serving the automotive needs of Subaru drivers throughout Ontario, Fruitland, Parma, Boise, Caldwell, Weiser and Payette. If you're ready to put us to work, come to 1802 SW 4th Ave in Ontario, OR and our conveniently located showroom to get the ball rolling today. We look forward to serving you!